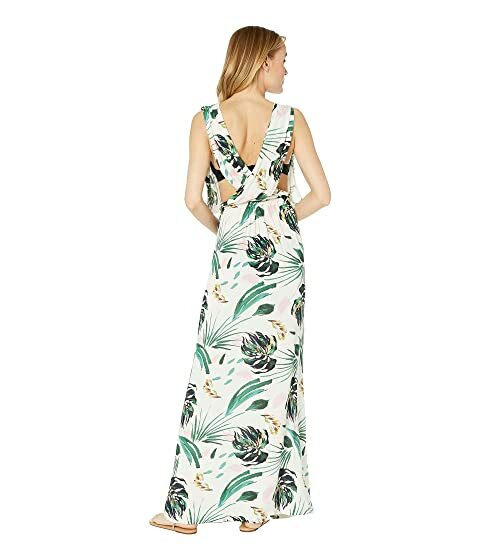 Tropical vacations are highlighted by the beauty of the BCBG® Ring Tropicals Overlap Maxi Dress. 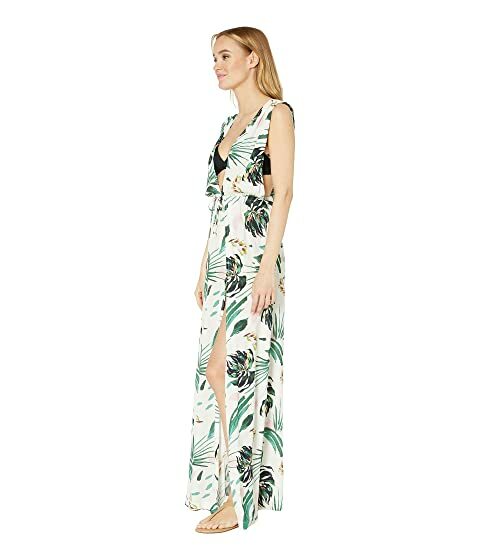 Maxi style cover-up in a tropical print. Ruching at center with elasticised waist create a figure flattering silhouette. Cross panel detail at back.